The advert was intended to reassure customers that no matter what calamity might befall them, their problems would be solved calmly, speedily and efficiently, with the minimum of fuss. Sadly, it’s a message that has been lost on our modern generation of politicians, who are guaranteed to turn any minor hiccup into a full-blown, multi-million-dollar Hollywood production number. Not that there’s anything minor about the current cross-Channel traffic in illegal immigrants coming ashore on the Kent coast in increasing numbers. Since the story exploded on a slow news day over Christmas, the Government has gone into full headless chicken mode. With great fanfare, Home Secretary Sajid Javid cuts short his family holiday in Africa to fly home and ‘take control’ of the situation. Everything is going according to the script. 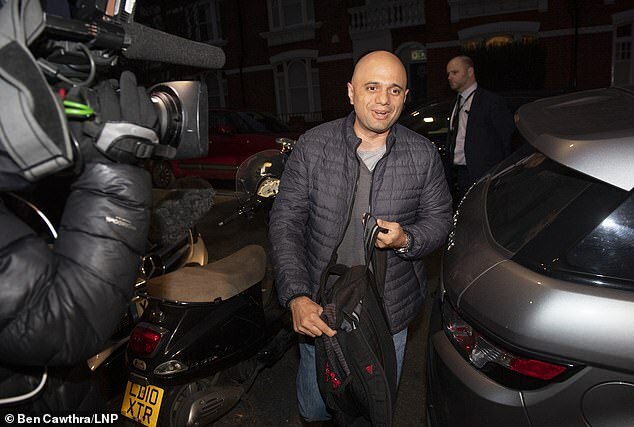 Javid arrives back in the middle of the night and changes from jeans and zipper jacket into his ‘I’m In Charge’ blue suit. Hours later, he leaves his London home through a scrum of television reporters shouting inane questions, which they know perfectly well he has no intention of answering. He convenes emergency meetings in Whitehall, then announces a plan of action, despite admitting in a newspaper article that, actually, there’s very little he can do to stop the influx of Iranians and other assorted foreign nationals making their way across the Channel. Javid could order the Navy to turn back any dinghy bound for Kent and return any passengers to France. But he’s already rejected an offer of naval assistance from Defence Secretary Gavin Williamson because he doesn’t want Williamson to gain any political advantage at his expense. Still, he has to be seen to be doing something, anything, to justify his dash back from his safari holiday. How long before Javid is filmed heading out to sea on the prow of a coastguard boat, like George Washington leading his troops across the Delaware River during the American Revolution — only in a hi-viz jacket, rather than a general’s uniform and tricorn hat. Mind you, given this Government’s track record of dealing with illegal immigration, a better analogy would be Leonardo DiCaprio and Kate Winslet on the Titanic. All that matters is that Javid creates an impression of frantic activity, with him at the centre of it. 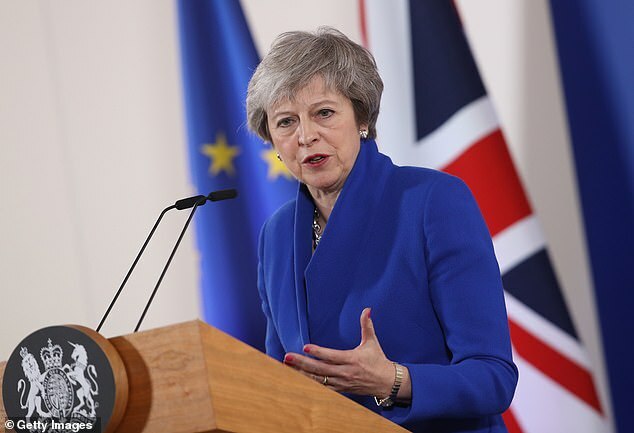 None of this would be necessary, of course, had the Government not ignored the problem of illegals crossing the Channel when it first surfaced more than two-and-a-half years ago. It’s not as if they didn’t know it was happening. 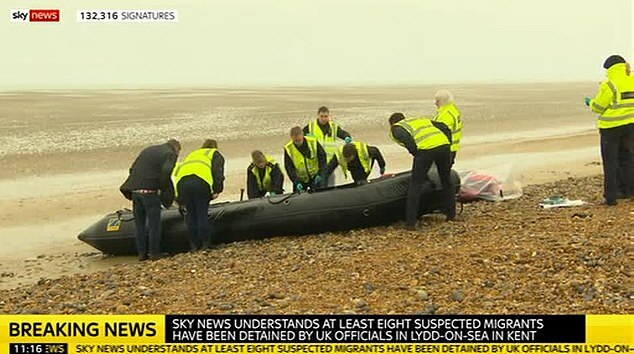 Between March and May 2016, there were at least eight recorded incidents of Border Force officials intercepting attempts to enter Britain by boat, via beaches in Kent and Sussex. On May 31 that year, after 18 Albanians were picked up in a rubber dinghy off Kent, I wrote a spoof Shipping Forecast, illustrated by a Gary cartoon, of a country under siege from foreign nationals on a variety of inflatables. You get the idea. And still they kept coming, unhindered, throughout the summer. In September 2016, the Mail’s Sue Reid hired a small inflatable boat in France and sailed across the Channel to Dover. 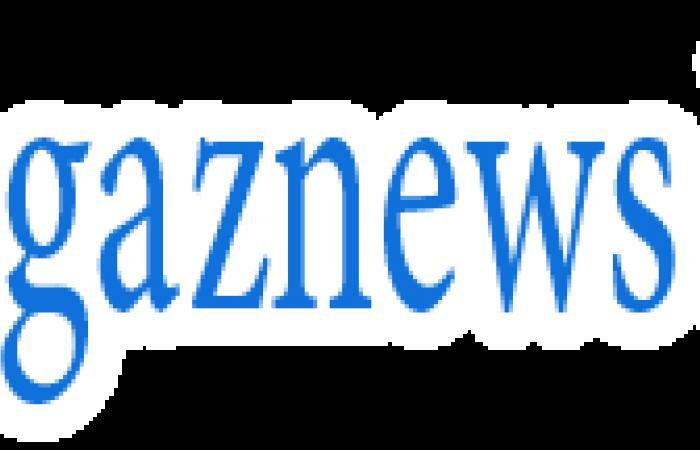 She passed a French coastguard vessel, a naval patrol and landed safely without anyone challenging her or asking to see her passport. 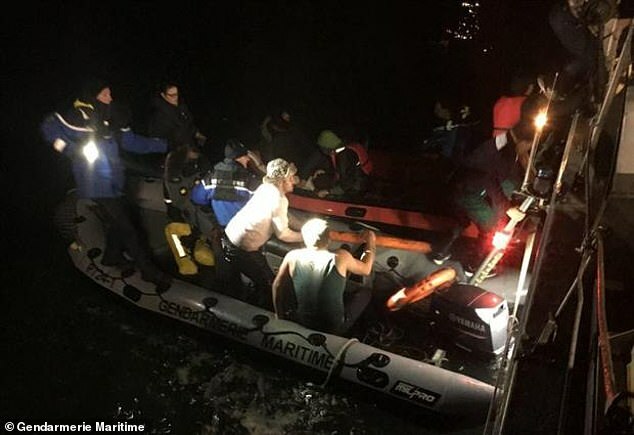 Six days earlier, a group of illegal immigrants had jumped off a private boat near Felixstowe, in Suffolk, and simply vanished. In November 2016, I returned to the subject, when a man who claimed to be Iranian, but probably wasn’t, was found rowing towards Britain in an inflatable kayak. I wrote at the time: ‘Instead of towing him back to Calais, he was rescued and given a lift to Croydon, where his asylum claim was processed. If the authorities aren’t going to deport them to France, it will only encourage even more desperate illegals to attempt the hazardous journey in everything from children’s paddling pools to inflatable armbands. Gary’s cartoon featured a family in an inflatable dinosaur and one man on a giant banana.